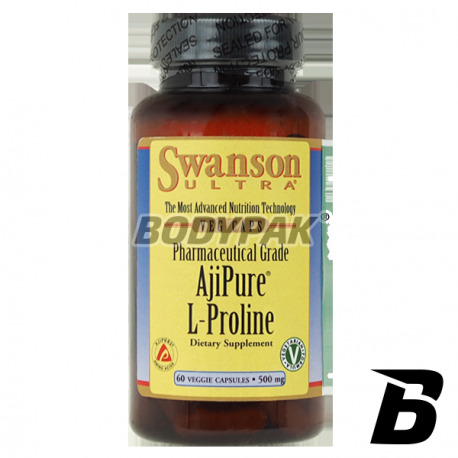 Joint HealthSwanson AjiPure L-proline 500mg - 60 kaps. Proline - endogenous amino acid (i.e., one that can be synthesized in the body), one of the 22 protein amino acids building. Proline - endogenous amino acid (i.e., one that can be synthesized in the body), one of the 22 protein amino acids building. After transformation by a proline hydroxylase in hydroxy-proline is part of the collagen, the main protein of connective tissue. For the proper conduct of this reaction is needed vitamin C. Proline is so important amino acid for the proper functioning of the musculoskeletal system, which have special significance for people burdened with considerable physical effort, as well as being in the treatment of sports injuries during the period of rehabilitation. 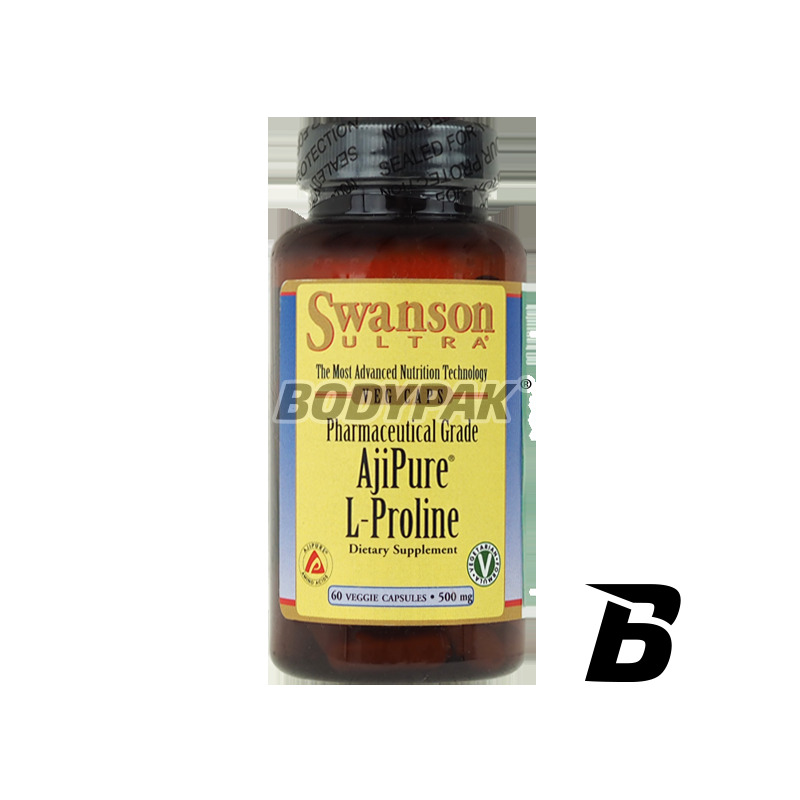 Proline occurs naturally in food, it can also be synthesized in the human body from glutamate.